Mars Wrigley Confectionery International Travel Retail (Mars ITR), working alongside its U.S. distributor Otis McAllister (Booth 701), will introduce regional buyers at the Summit of the Americas to its latest category insights, based on reasons why travelers shop, and its latest travel retail innovations created to meet those requirements. MITR says the two year partnership with Otis McAllister has already proven very successful as the companies extended the partnership last year to all MITR’s U.S. business except Dufry. Mars continues to handle its Latin American business directly. While Mars ITR is not having its own stand this year, the company is maintaining high visibility during the week. Bright yellow registration bags, this year available to all visitors to the Summit of the Americas, will be branded one side with a bold and un-missable M&M’s graphic, while a high visibility branded ‘frame’ will be situated on the wall near the Otis booth. 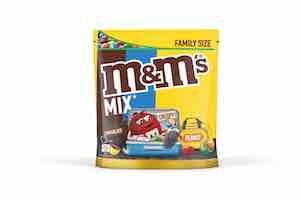 On stand in Orlando, the companies will be mainly focusing on M&M’s, and on Maltesers sharing pouches, which was launched into the U.S. domestic market in 2017. MITR says that retailers need to offer a confectionery portfolio that meets the four key reasons to purchase: Celebrate (gifting), Connect (sharing), Reward (self-treat) and Recharge (gum). 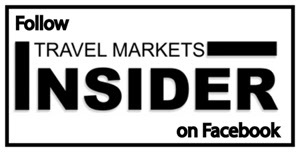 Mars ITR is updating its gifting range to play to the universal appeal aspect of M&M’s, and attract more adult travelers. 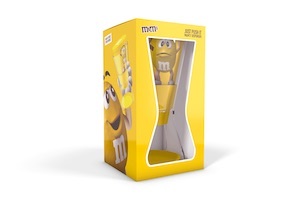 The range includes four new designs: Fan, Torch, Flip and Funnel – all exclusive to Travel Retail – featuring the Red and Yellow characters, and including bags of M&M’s Chocolate in various sizes. While not available in the U.S., new products in the Connect segment will be on show for retailers from South America including M&M’s Salted Caramel 370g Sharing Pouch, Travel Retail Exclusive; M&M’s Mix 400g Sharing Pouch, Travel Retail Exclusive; and redesigned packaging for M&M’s, Snickers, Maltesers and Celebrations.